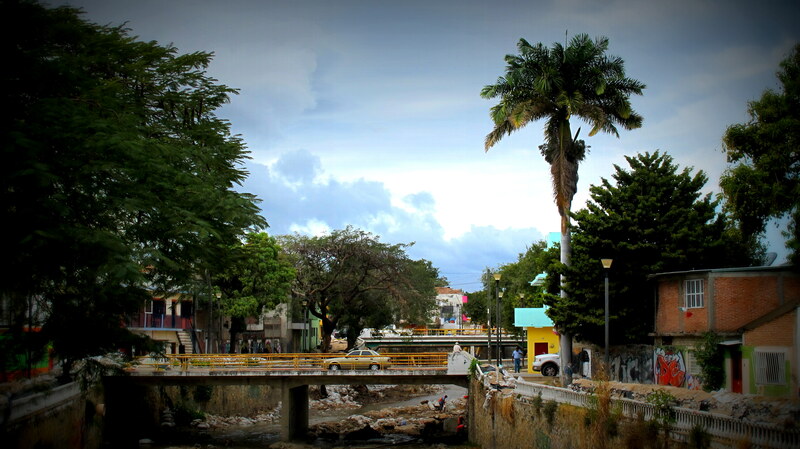 I really enjoyed my visit to Tuxtla Gutierrez in 2012. I met nice people, ate a lot of good food, and took some lovely photos. 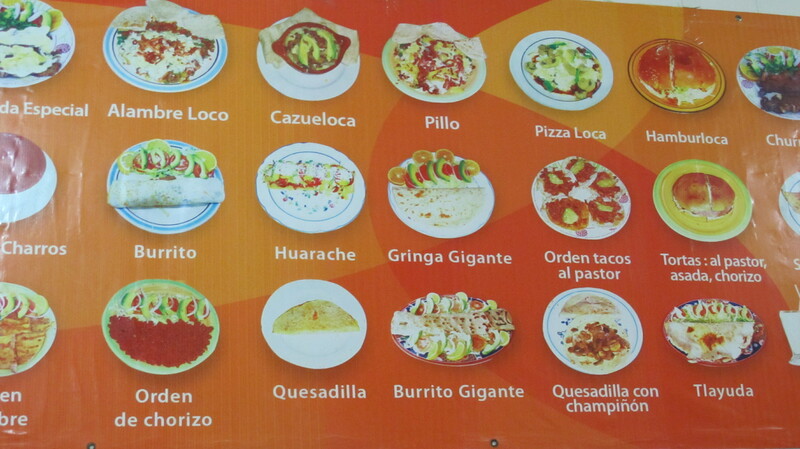 These were my choices one evening in Tuxtla Gutierrez. I ordered the tacos al pastor, but I should have gone for something more exotic… I don’t imagine they could have surprised me too much. It was late in the evening, and I just felt like something quick and casual. 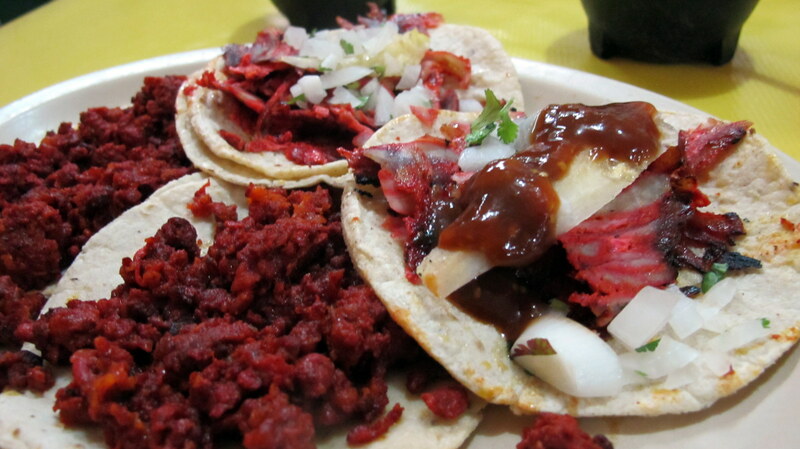 The tacos at a place on the main drag (yes, there is a main drag in Tuxtla) worked like a charm.